Place In Deep Purple Story: Meek used a group called The Outlaws to back many of his sessions and Ritchie Blackmore joined the group in late 1962, and thus began recording at Meek's studio. Over the next four years, Blackmore cut countless sessions, a lot of which were for other artists. 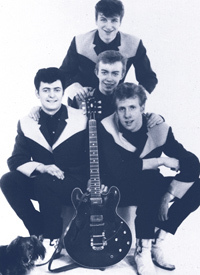 There were also a handful of singles by The Outlaws which Blackmore played on, a few EPs and an album by Heinz. 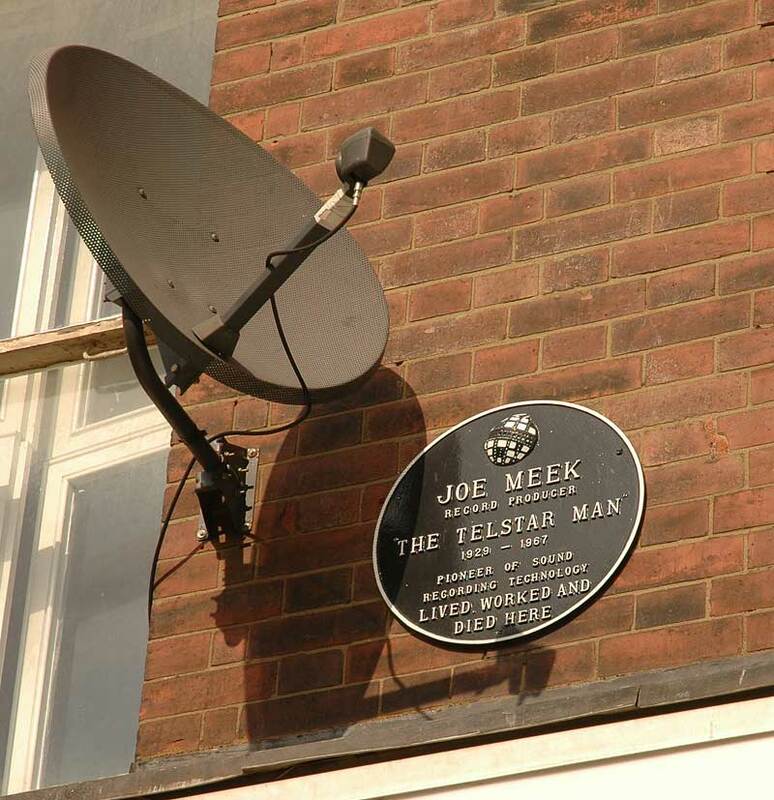 Later on Meek made available a flat which he leased at 224 Holloway Road for Blackmore, his wife Margrit and their first child. This meant that Blackmore was on hand for sessions at 304. Blackmore is believed to have done his last session for Meek at the end of 1966 and was on tour in Germany when Meek killed himself. Over the years a lot of work has been done trying to unravel Blackmore's sessions and a number of CDs have been issued, the latest of which is a double CD from Sanctuary called Getaway. 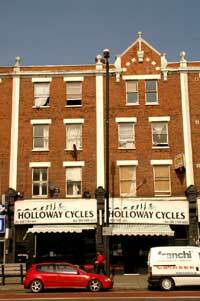 History: 304 Holloway Road is an important site. 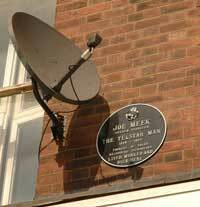 It was here in 1960 that record producer and manager Joe Meek established his own studio. He recorded hundreds of singers and groups here, and mixed tracks for release on single, EP and albums on a number of different labels. The studios were in three floors above what was A.H. Shenton's, a shop selling leather goods, handbags, suitcases, etc. which took up the ground floor. The first floor was Meek's living quarters and office. The second floor housed the studio and control room, and the third floor had a bedroom and a couple of extra rooms which were sometimes used to record in. RGM Sound Ltd. operated from these premises until February 1967 when in a depressed mood Meek shot Mrs Shenton (his landlady) after a row and then turned the shotgun on himself. north of Holloway Road tube station, which is on the Picadilly Line. If you're driving it's the London end of the A1. The area is called Lower Holloway. Viewing: The building can be seen from the street, but there is no access to the interior except for the modern shop. 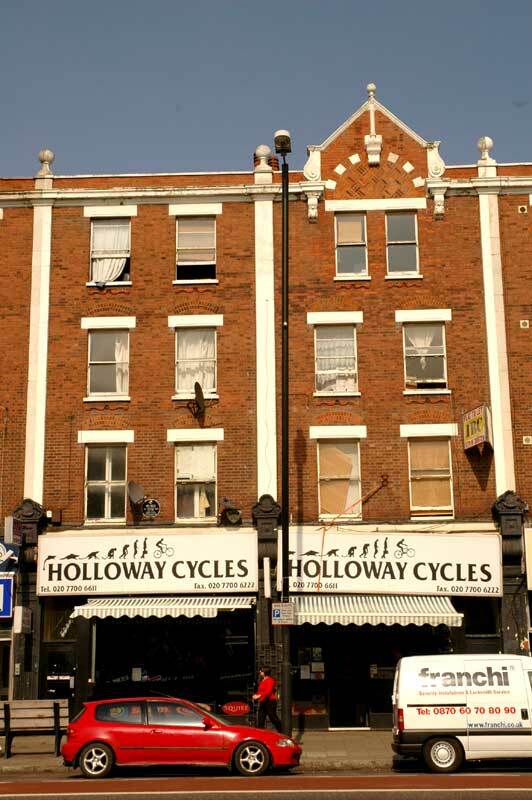 The shop is now called Holloway Cycles. A heritage plaque identifies the building (the current shop has expanded next door; Shenton's was the left hand of the two buildings). The shop facade has changed but the floors above still have their original windows and look exactly as they did in the sixties. Pictures: April 2007 by Bill Bass (who adds that he likes the irony of the heritage plaque being overshadowed by a satellite dish! ).